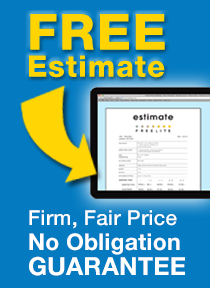 When You Say “Free & Easy Home Improvement” What Specifically Does That Mean? Q: When You Say “Free & Easy Home Improvement” What Specifically Does That Mean? A: It’s not a catch slogan or a cute phrase; it’s the absolute truth. It has to do with how we communicate with you before, during, and after the job; it has to do with our relentless attention to detail, and the years of experience that our team has both on your kind of project and working together as a team. It means we won’t strong-arm you or pressure you into buying things you don’t want or need. It means that we stand behind our work so you don’t have to worry about it now… or later. That’s what we call FREE & EASY. Q: How Are Your Prices? Are You On The High, Medium, or Low End Of The Spectrum? A: Generally speaking, we’re on the high end of medium. There is no question you can find contractors who will quote you less money—we won’t even attempt to match them in most cases. We offer a fair price on a great job that you will love for years to come. We specialize in quality, reliability, and beauty… but don’t be scared off—if you’re like any of our 20,000+ previous customers, you’ll be glad you paid a little more to do the job correctly, on time, and worry-free. 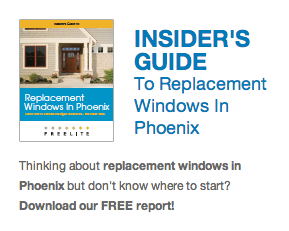 Q: How Can I Know Ahead Of Time If I Can Trust A Remodeler? A: Sometimes it’s hard to tell. The real bozos are easy to pick out… but what’s harder to detect are the contractors who are basically “good guys” but who might be experiencing financial difficulties, or who might be overbooked, or who might have bid your job too low and have to cut corners to make up for it. 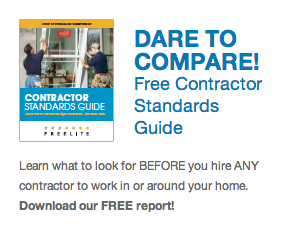 We’ve developed the Code of Ethics & Competency Contractor Standards Guide to help you judge a remodeler in terms of their financial stability, reputation, professionalism, and workmanship. Use this as a guide to help you make a decision. Q: What Kind Of Financing Options Do You Offer? A: Many of our customers pay cash or get a loan for their project through a third-party lender (bank, credit union, etc.). But we do have several programs available to make paying easier—most of them at very attractive interest rates. Call us and ask about financing—we’ll give you a full array of options. Q: How Long Have You Been In Business And How Many Jobs Have You Completed? A: Our first project was in 1977, and we’ve serviced over 20,000 customers since then. Given the fact that 9 out of 10 remodeling companies don’t even make it 2 years, we think that’s pretty impressive!